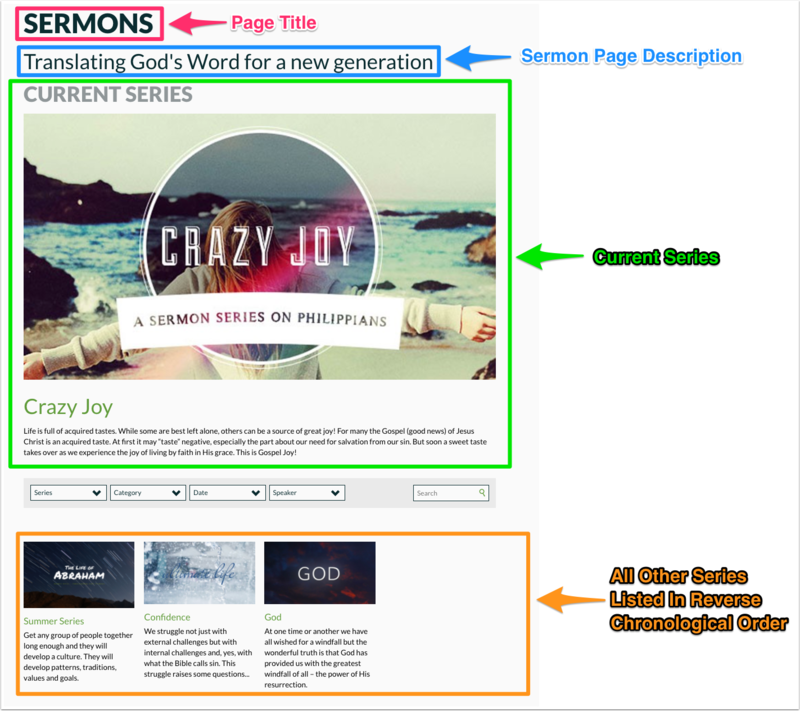 Sermons Template #5 was specially designed to showcase your current and past Sermon Series. 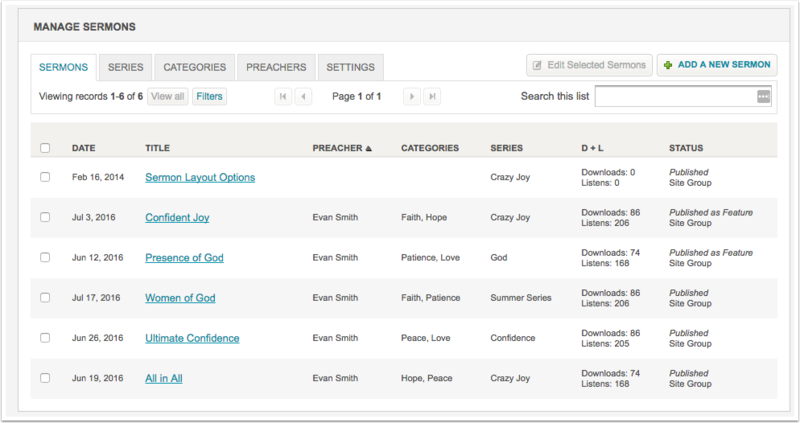 This page displays the latest Sermons Series at the top, and includes a 'Filter By' bar allowing viewers to filter sermons by Series, Category, Month and Speaker. Below that it then displays all of the past sermon series in reverse chrolological order. 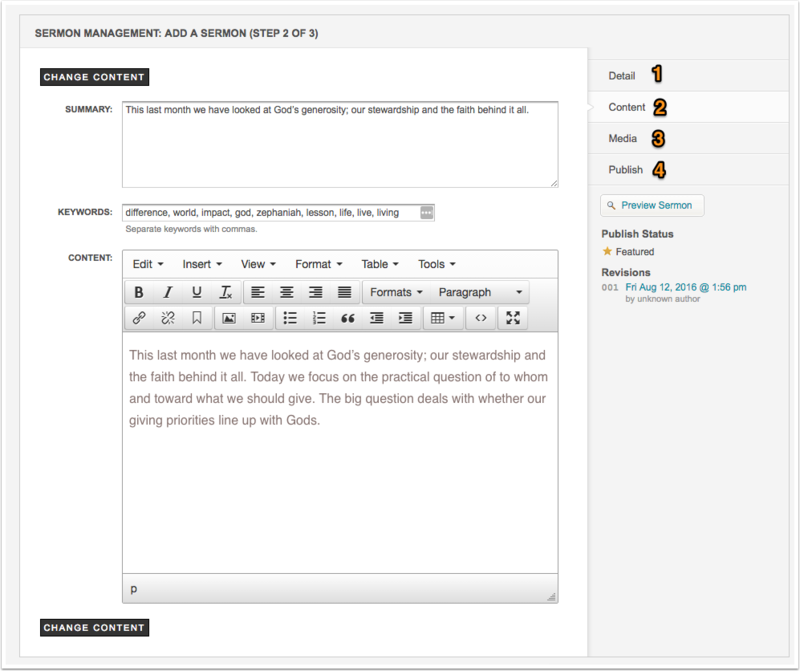 Sermon series can be given a summary and you can upload a photo for the series. 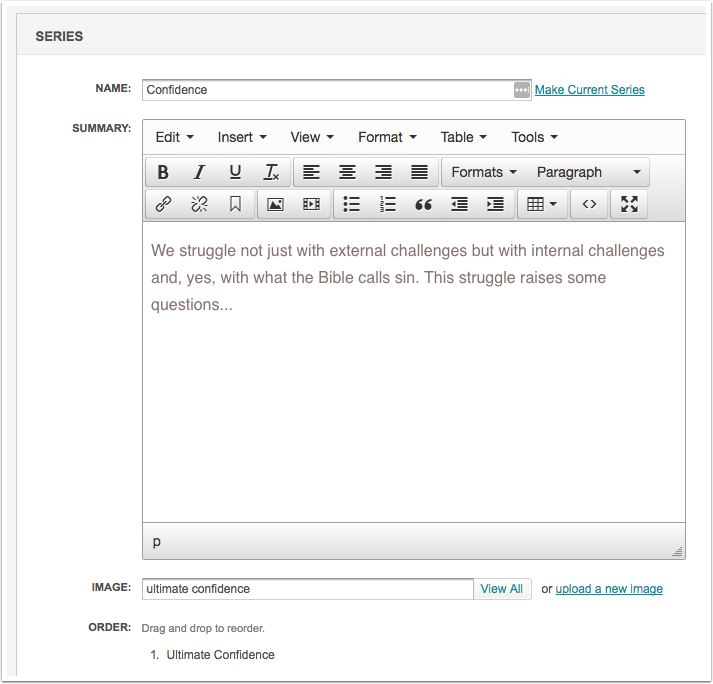 Each sermon has its' own detail page where the summary and media file links are located. 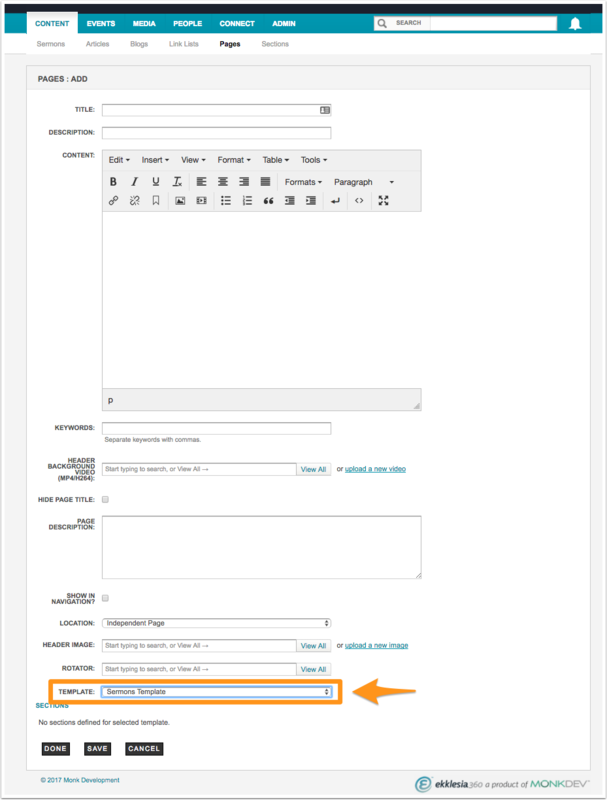 You can add a custom header image as needed for the detail page by uploading an image into the "Header Image" field. If the field is not used, the site default header image will be used.